Selling a sequel to a video game system’s proprietary flagship franchise shouldn’t be too hard, right? Except with the launch of Halo 4, the franchise that helps spur Xbox console purchases. Five years had passed since the last major release for Halo 3, and with Call of Duty available across multiple systems and outselling Halo four to one, this launch was a pivotal moment in the franchise’s history. 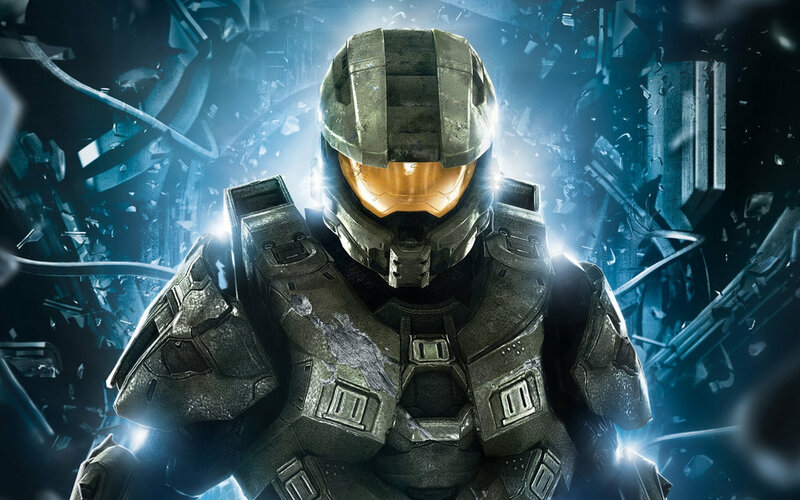 Could Halo 4 start the next great gaming trilogy for Xbox? Where hype, technology and gameplay sold many copies of previous sequels, increased competition meant we needed to reinvigorate Halo mythology in fans’ hearts. The Halo Nation had to take up the mantle of hero Master Chief once again. We wanted them to feel like the new menacing alien threat with a historic lineage, the Didact, was attacking them directly and they were the only ones who could recognize and stop it. American football fans in Chicago were witness to the power of the Didact when they looked to stadium scoreboards to view a replay, and were surprised when screens began to "glitch" with video static, followed by the Didact's symbol and the Halo 4 cinematic trailer. Later, an orange beam virtually scanned the soccer field and hacked the broadcast leading into Liga Mexicana matches. The Observer character warned viewers about an imminent threat that had been showing its presence through technology hackings during “Fringe” on FOX, while the broadcast was hacked repeatedly with Halo 4 symbols. Viewers were encouraged to report infractions to a custom online destination. We also seeded videos with static and mythological symbols on key digital gaming sites and disrupted several media partners’ shows and promotions. Videos showed glyphs and symbols as if they were being discovered in real world locations, like San Francisco Bay. With a new direction focusing on the threat to the Halo universe, sales of Halo 4 topped $220 Million USD in the first day of release and nearly $300 Million USD in the first week, making it the biggest Halo launch in history. US single day sales even eclipsed records for the current biggest day one movie opening in Hollywood history. Beyond sales, the Halo Nation immersed themselves in playing the game. During the first five days of release, more than 4 Million gamers played Halo 4, shattering previous records, and it was the top trending Twitter topic.